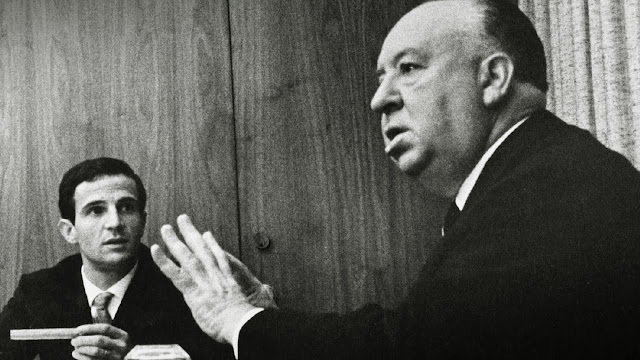 François Truffaut and Alfred Hitchcock. Why is it that some people think film critics (to paraphrase Cyndi Lauper) don't want to have fun? More to the point, why do people get so upset when you don't have the kind of fun they had at a hit movie even though you can explain clearly why it didn't deliver for you? (People never get this incensed when the picture is a commercial failure.) If I find a picture sluggish and heavy-spirited, as I once did with Ivan Reitman's massive 1984 hit Ghostbusters, why shouldn't I say so? Just because it was intended to entertain and make money for the studio doesn't make that a criteria for evaluating its quality. A good critic always judges a film on whether or not they are enjoying it, but they also go further to try and articulate why (even though, according to some moviegoers, you're not supposed to have a contrary opinion when the picture is a huge Hollywood production with a pedigree). Yet, as in politics, the Emperor sometimes has no clothes. But those same folks who always strip the Emperor down to the buff in politics seem to feel that the same doesn't apply to the popular arts which you should just let wash over you. This may explain why there's been such an uproar over the new remake of Ghostbusters where people are insane with rage that Hollywood has dared to reboot a 'classic.' Meanwhile, others get appalled if you diss the original. They assume that, due to your discriminating intellect, you can't simply party down and enjoy getting slimed. If audiences develop their taste for art by first having an appetite for mindless entertainment, as Pauline Kael once suggested in her essay, "Trash, Art, and the Movies," it's because good criticism makes that process possible. My own movie collection, for instance, ranges from Jean Renoir's The Rules of the Game to Dumb and Dumber. Obviously, there's a world of difference between them, but both movies are enjoyable on the terms they offer. There's an irresistible charm that silliness and even stupidity can provide when it's done with a certain tone and skill, just as a profound work with an artist's vision can irrevocably change the way you walk and talk. Yet there's a kind of snobbery that crosses between both high and low tastes. For instance, I know some very literate friends who'd be stunned that I'd even consider Dumb and Dumber a good comedy because their intelligence and higher tastes prevents them from getting in touch with the polymorphous infant in themselves. There are others, no doubt, who think my love of Renoir means I should get out more. Movie pleasure can be delectably superficial, or it can deliver a deeper satisfaction, the same way one develops a taste for better wine while still having the occasional desire to chug a beer. What constitutes pleasure is always subjective. (Just look at what some people with very broad tastes like to call their 'guilty pleasures.') Given that, why is there this peculiar rage some film goers save only for critics? While it may, in part, be a result of how marketing today has corrupted popular taste, so that audiences align themselves more with perceived success than quality, I think it runs even deeper than that. As in popular music, there is no longer a centre that binds people in the mainstream to the margins so that they can discuss The Rules of the Game and Dumb and Dumber in the same sentence without being dismissed as pretentious, or a slob. If Elvis and The Beatles once provided a common ground for debate in pop music, where mainstream audiences actually aspired to be informed and discriminating, it was because those artists built bridges that broke down cultural walls. Audiences were once inspired to draw lines between The Rolling Stones and Chicago blues, or linking The Beatles with Motown and girl groups. Pop culture inspired a shared dialogue that became a breeding ground for sharp criticism rather than consumer reports on what to buy. The excitement of making connections also became part of the air everyone breathed. But today, people have drawn more protective lines around what they love so that now everyone gets to breathe their own air. Without a centre, what you get is a collection of islands where solipsism rules. Idealism gets replaced by ideology where one artist, or work, gets rigidly valued over the other. In film culture, you see cinephiles sharing their passion for art cinema in a hermitage that's exiled from popular taste, while more populist critics talk about mainstream pictures as if from a fan enclave clinging with a fetishistic zeal to the values of childhood and consumerism. Is it any wonder that marketing now triumphs in this climate? 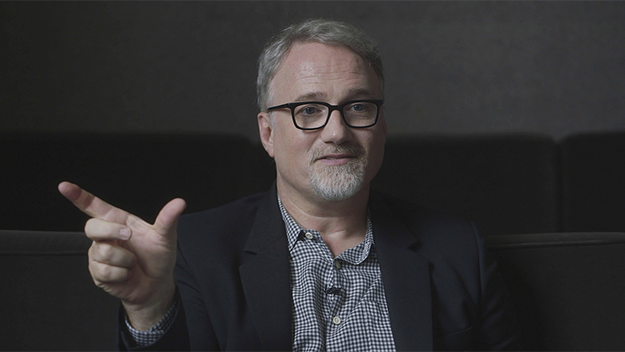 Director David Fincher discussing Alfred Hitchcock in Hitchcock/Truffaut. Many of these issues surround the subject of film critic Kent Jones's recent documentary, Hitchcock/Truffaut, which examines the 1966 book French director François Truffaut (The 400 Blows, Jules et Jim) published of his extended interview in 1962 with the popular master of suspense, Alfred Hitchcock (The 39 Steps, Vertigo). Both directors – with their vastly different sensibilities – spent a week talking in great depth about Hitchcock's movies. (When Hitchcock died in 1980, Truffaut updated his book and added a new preface along with a final chapter on the later work not covered in the interview.) 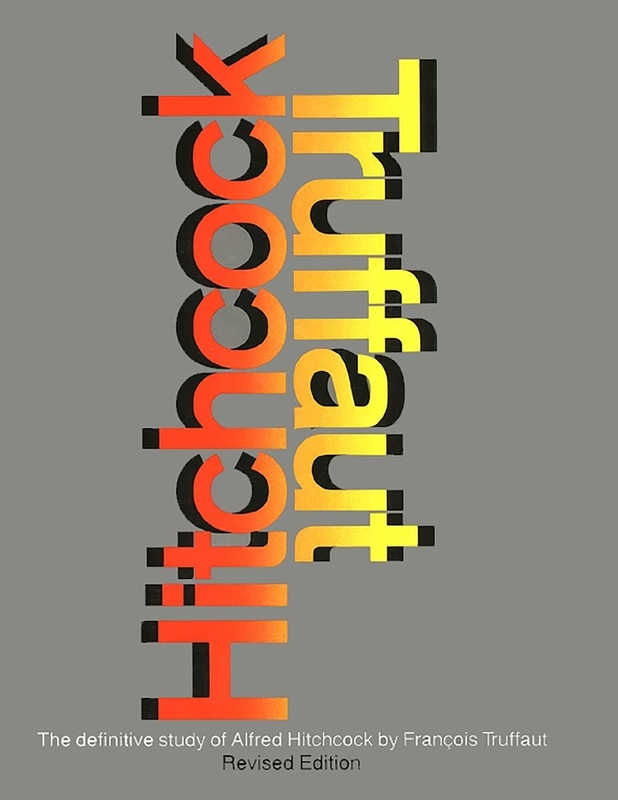 While the book, Hitchcock/Truffaut, was Truffaut's attempt to lift Hitchcock from the common perception of his being simply a popular entertainer and placing him into the realm of being a film artist, it also served as a game changer in the culture – and not only for those who came to define popular cinema during the Sixties. Hitchcock/Truffaut marked a moment when the mainstream could accommodate both commercial and art cinema with equal value. 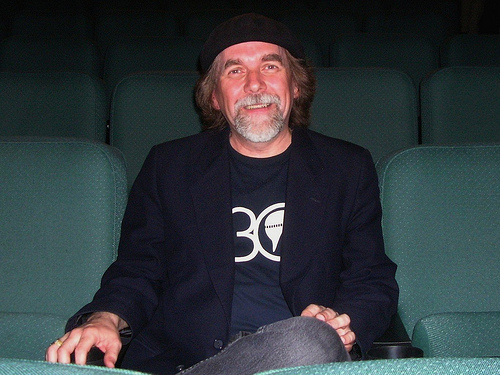 When Kent Jones made his remarkable documentary, Val Lewton: Man in the Shadows (2007), which told the story of the producer at RKO Pictures who made low budget horror films (Cat People, I Walked with a Zombie) but with sophisticated means, he did more than justify Lewton as an auteurist. Jones gave us a study of the studio system, the shifting values in American culture especially during and after the Second World War, and he brought his own critical perspective into the narrative. At times, we experienced clips from Lewton's pictures as if seeing those scenes through the eyes of a passionate critic interpreting them for us (even if it was Jones sometimes borrowing a perceptive quote from Manny Farber). You could feel Kent Jones in the fabric of Man in the Shadows and hear his voice – even when it was Martin Scorsese narrating – because he made the subject loom larger than just a chronicling of Val Lewton's efforts. Man in the Shadows took us into how a critic can make sense of an artist's vision. But maybe because Alfred Hitchcock and François Truffaut are not men in the shadows, Jones relegates himself to the background instead. He seems content to let his directors do all the talking for him and we never come away feeling like we understand why this subject matters to him. Hitchcock/Truffaut comes across as an impersonal study even when it's at its most engaging. I suspect the disparate cultural climate I described earlier may have had some bearing on why the film's treatment of Truffaut seems so minimal. Among cinephiles today, he doesn't command the same respect and regard that Godard does. But it weakens the film to position him as the student sitting at the master's table. While there are some (like Pauline Kael) who didn't understand why a man of Truffaut's idiosyncratic talent would be drawn to a conceptual stylist like Hitchcock, it always made sense to me. Just as Truffaut was commandeering an open-ended visual language to tell the stories of The 400 Blows and Jules et Jim (where he employed both avant-garde and conventional techniques), he also needed to understand how Hitchcock created his own artistic sensibility in a more restricting studio era. Once he accomplished that, Truffaut likely felt that he and Hitchcock could then find an equal pairing. "If, in the era of Ingmar Bergman, one accepts the premise that cinema is an art form, on a par with literature, I suggest that Hitchcock belongs – and why classify him at all? – among such artists of anxiety as Kafka, Dostoyevsky, and Poe," Truffaut writes in his Introduction to Hitchcock/Truffaut. Dizzy Gillespie once demanded an audience with Louis Armstrong to play him the be-bop jazz that was only possible because of Pops. I suspect that Truffaut wanted to measure the worth of his own methods by understanding the pioneering stylistic forms of Hitchcock. (Armstrong would tell Dizzy after listening to his brief atonal demonstration, "You have to know how to play pretty damn good to play that bad.") Of course, it was no surprise that when Truffaut tried to imitate Hitchcock with The Bride Wore Black, where he made himself the dutiful pupil, he couldn't have been less Hitchcock (not to mention barely Truffaut). I know I'm probably asking for a different kind of picture than what Kent Jones likely wanted to make with Hitchcock/Truffaut. But it left me hungry for more than I got. You don't expect documentaries like this one to magically fill the void where once a passionate common language on movies was shared, but you do sometimes look for a picture than gives you an idea of what might have been lost. 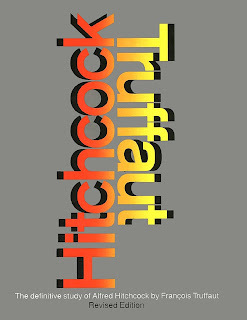 Hitchcock/Truffaut succeeds in entertaining us with the minutiae that shaped this historic book. The larger story has yet to be told.